The Love Notes Postcard Project is back and I am thrilled to announce that we have a very special guest! Mindy Tsonas with Embody Love Movement will be providing the weekly writing prompts. I received a peak and they are so good. I can't wait to share them with you! We begin July 9th, sign up today! Embody Love Movement is a global non-profit organization founded by Dr. Melody Moore, created to empower girls and women to celebrate their unique inner beauty and push back against harmful media standards, commit to kindness and contribute to meaningful change in the world! ELM offers in-person workshops, events, and online experiences and education, dedicated to helping each of us discover our real beauty within. I feel that this is the perfect collaboration because Love Notes is all about spreading kindness and lifting up each others spirits. We do this through handwritten notes in the mail. You never know the true effect that your words will have on the recipient but I can guarantee they most definitely make them smile. Mindy Tsonas is the creator of Studiofemme, an Embodied Artist, and certified Embody Love Facilitator. She helps to guide women into the extraordinary Wonderland of themselves. Through juicy creative pursuits and honest explorations, her calling is to inspire others to shake loose and get naked in empowered, exquisite truth, to name and claim all aspects of who they are, and un-shame every desire. She is also an avid Love Notes participant. 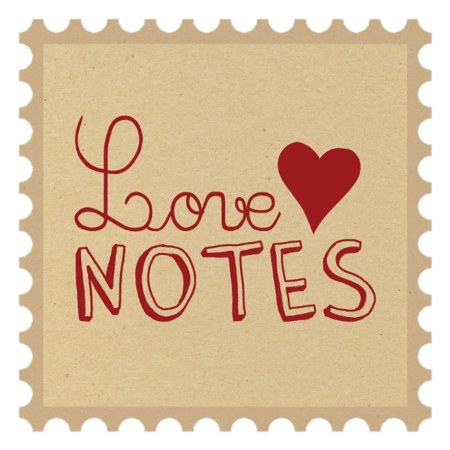 Love Notes is a free three week project where individuals are paired up with one another to exchange hand written postcards. Don't worry if you do not have postcards, note cards are fine. Some people even create their own. There are no hard and fast rules as long as it is a little something you can send through the mail. Worried about what you are going to write? I got you covered! Each Sunday a writing prompt will go out to provide you with a jumping off point for what to write on your postcard. As I said above Mindy's prompts are divine and I just know you are going to love them! This is the 20th installment of this project and I could not be more excited to begin. Friendships have formed and mail continues to be exchanged long after each round is finished due to the extraordinary individuals who participate in the project. Looking to learn more? Click here or pop on over to the Facebook Group. Have a question? Drop me a note at jennifer@jenniferbelthoff.com. This round is going to be so good!